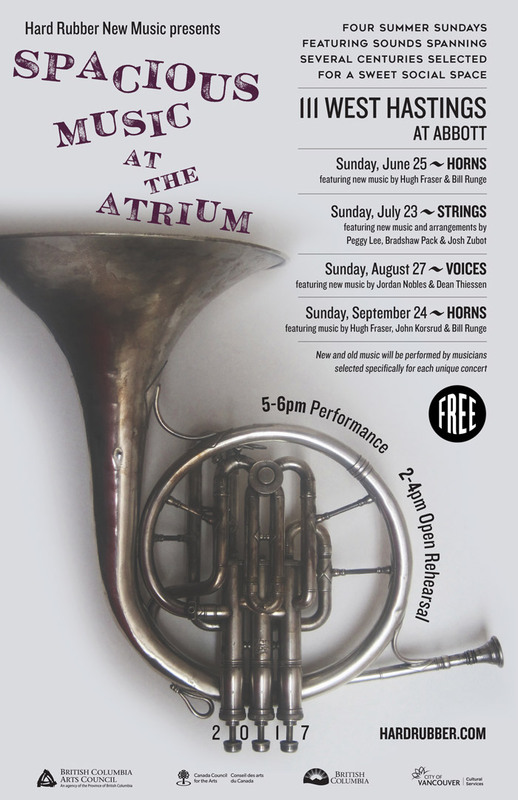 The Hard Rubber New Music Society presents Horns at the Atrium, the last of the series of free concerts featuring music selected and commissioned for the reverberant interior courtyard at Woodward’s (Hastings and Abbott) on four Sundays, June to September. Each program is dedicated to a particular instrument, held at 5 pm, preceded by an open rehearsal from 2-4 pm. 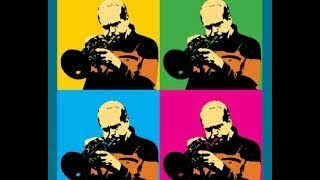 On Sunday, September 24, the program will feature recent music by Vancouver composer-musicians Hugh Fraser, John Korsrud and Bill Runge as well as Renaissance music arranged for horns. The Atrium, one of the most important indoor public spaces created in the city in the last decade, will reverberate with sounds performed by top Vancouver musicians and improvisers, including members of the amazing Hard Rubber Orchestra. Music will be improvised, composed, arranged and performed to complement and incorporate the particular acoustics of this large space. Audience members will be immersed in vibrant music, sounds only possible in such a cavernous space. An open rehearsal will be held before the performance for those interested in seeing how the music is prepared and rehearsed within a large public space and within a short time frame. The Hard Rubber New Music Society gratefully acknowledges the support of the BC Arts Council, the Canada Council for the Arts, the City of Vancouver through Cultural Services and the Province of British Columbia through Community Gaming Grants.